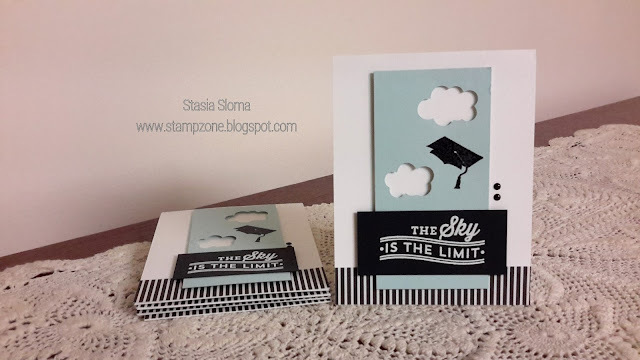 So I have seen on Pinterest a few cards with the graduation hats in the air with the clouds and I was like that is a great graduation card idea. I decided to case the idea and make it my own. The sentiment comes from My Favorite Things Blue Skies Ahead. The graduation hat comes from Lil' Inker Designs. The clouds are Sizzex dies and the paper is from The Paper Studio.